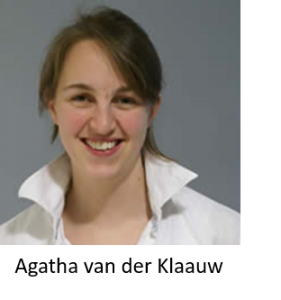 In a paper published in Cell, Agatha van der Klaauw from Sadaf Farooqi’s team (Wellcome-MRC Institute of Metabolic Science) describes the role of a group of neural guidance molecules, the Semaphorins in the development of hypothalamic brain circuits that regulate body weight. The team characterised rare genetic variants affecting the function of multiple genes encoding the Semaphorin3 ligands, receptors and co-receptors in people with severe obesity. They showed that deletion of these genes in zebrafish caused increased growth and/or adiposity. Deletion of the Semaphorin receptor, Neuropilin-2, in the hypothalamus caused mis-wiring in the hypothalamus and weight gain in mice. Mutations in the human variants of the receptor reduced the ability of these molecules to guide neurons precisely to their destination in the hypothalamus. Agatha van der Klaauw said, “Previously, we have identified rare variants in people with severe obesity that affect the function of the brain circuits that regulate weight in the hypothalamus. In this study we have now discovered genes that establish the precise neural connections that form these circuits. Although these variants are very rare, this work provides new insights into the development of hypothalamic circuits that regulate appetite and weight”. Further coverage of this article can be found here.